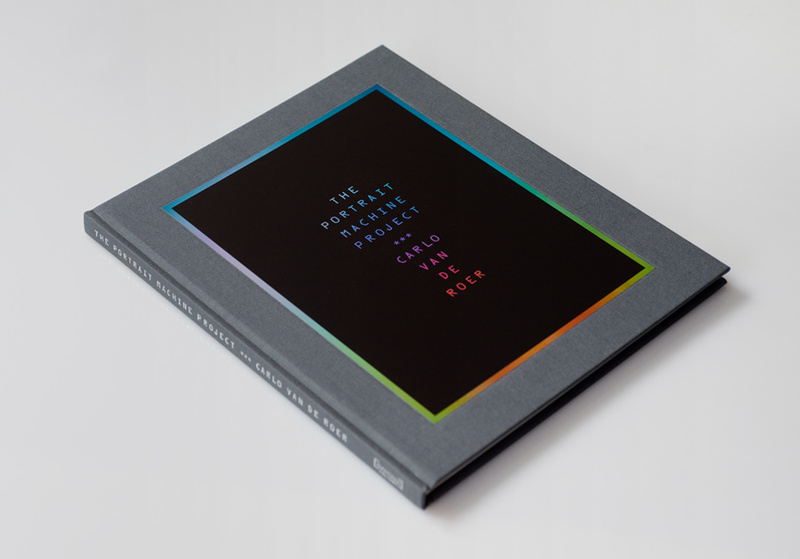 The Portrait Machine Project Book. Essay by Val Williams. Published by Damiani. 88 pages. 40 Illustrations. Clothbound. In The Portrait Machine Project, Brooklyn-based New Zealand photographer Carlo Van de Roer (born 1975) explores the idea that a camera can reveal otherwise hidden facets of a subject’s character, and their relationship with the photographer and viewer. Van de Roer uses a Polaroid aura camera, developed in the 1970s in an attempt to record what a psychic might see. His subjects--friends, family, artists Miranda July, Terence Koh and Aurel Schmidt, author James Frey--are connected by sensors to the camera, which translates biofeedback into information about their characters and how they are viewed. The camera depicts this information as color in the Polaroid and as a printed description and diagram. In this, his first book, Van de Roer prompts us to question what we expect from a portrait, particularly when it’s of someone we think we know.